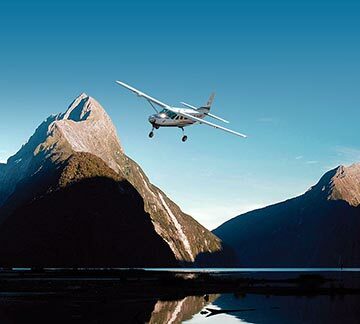 Milford Sound flights are the fastest and most spectacular way to travel to Milford Sound or return to Queenstown. A number of airlines offer daily Milford Sound scenic flights on board small aircraft, providing unparalleled views of the region. During your scenic flight you will soar above beautiful Fiordland National Park, seeing the white-capped Southern Alps, gushing waterfalls and deep blue lakes, as well as pristine native forest stretching out below you. 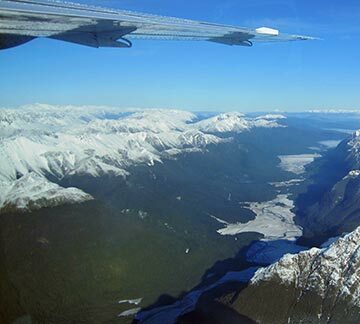 Milford Sound scenic flights are always weather dependent, but most operators will provide a refund or a transfer to another date if your flight is cancelled. 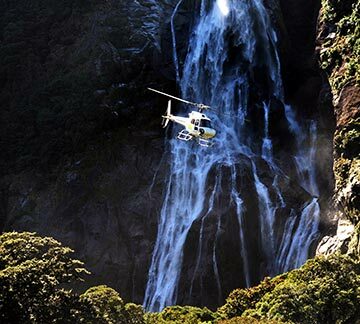 You can also add a Milford Sound scenic flight to your day tour experience. Choosing a Milford Sound coach-cruise-fly day tour can mean you get the best of both worlds. Start your day with a coach tour to the fiord enjoying the view from the ground and stopping along the way for photos. Cruise on the fiord and experience its majesty by boat, and after your cruise, board a light aircraft and experience the scenery from above, arriving back in Queenstown in the afternoon. This option is available through most major Milford Sound tour operators, including GreatSights, Gray Line and awesomeNZ. You can book your return scenic flight in advance, or choose to upgrade on the day depending on how the weather is looking. Take off from Queenstown Airport and enjoy scenic highlights as you fly to Milford Sound: see Skippers Canyon, Lake Wakatipu, the Paradise region near Glenorchy, and glaciers as you make your way into Fiordland. Fly over Milford Sound and get a sense of the scale and remote location of this beautiful destination before landing. After your Milford Sound cruise, it’s time to take to the skies. 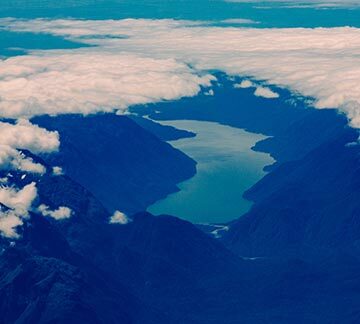 See the mighty fiord from the air and fly above ancient glaciers, rugged mountaintops and dense native rainforest on your way back to Queenstown Airport. Flights from Milford Sound to Queenstown take approximately 45 minutes. If you want to see Milford Sound by helicopter, there are a number of Milford Sound helicopter companies to choose from. Helicopter trips to Milford Sound can include landing on glaciers and mountains high in the Southern Alps – an unforgettable experience!